In fall 2017, I taught a class on documentary storytelling at Maine College of Art. Over the course of the semester, the students (BFA candidates in their second year) learned interviewing techniques, how to make professional recordings, and how to use audio editing software to produce polished stories. They made forays into Portland to conduct interviews and collect atmospheric sounds for an audio postcard assignment. And they visited the Abyssinian Meeting House, one of the oldest African American church buildings in the country. For their final projects, students interviewed members of Maine’s African American community and produced edited oral histories for an archive maintained by the Abyssinian Meeting House. 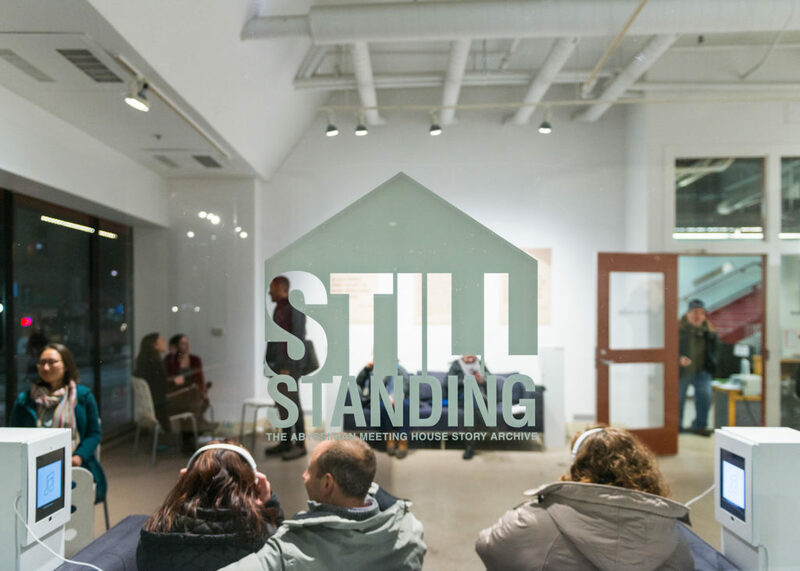 Their work was featured in an exhibit at MECA entitled “Still Standing: The Abyssinian Meeting House Story Archive.” The exhibit included interactive listening stations with stories from the archive (the product of a three-year collaboration between MECA and the Abyssinian Meeting House), and live interviews conducted by Salt students. Photo courtesy of Justin Lumiere, who also designed the exhibit.